The STEAM Village powered by Switch features hands-on, immersive technology and experiential stations for students, families and ArtPrizers. GRAND RAPIDS, Michigan (JULY 20, 2016) -- ArtPrize, the radically open international art competition and festival decided equally by public vote and expert jury, announced a new partnership with Switch, a global technology company headquartered in Las Vegas, Nevada, and developer and operator of the SUPERNAP data centers and SUPERNAP Grand Rapids at the Switch Pyramid, that will bring an interactive STEAM (Science, Technology, Engineering, Arts and Mathematics) educational experience to its eighth annual event. A 19-day event hosted at the ArtPrize HUB headquarters, the STEAM Village powered by Switch will offer immersive technology applications and hands-on learning stations to thousands of students, families and ArtPrize visitors this fall. The STEAM Village powered by Switch will transform the ArtPrize HUB soundstage into a learning lab, with experiential stations featuring Switch-funded Planet3 and Code.org software demonstrations, a virtual reality painting experience, tinkering stations, and Northwood Awakening, a stunning combination of photography and textile that captured visitors’ imaginations and the $200,000 Public Vote Grand Prize in 2015. Switch CEO and Founder Rob Roy’s commitment to improving whole mind education through philanthropic efforts in the communities where the company operates is how he’s paying forward the success of Switch. 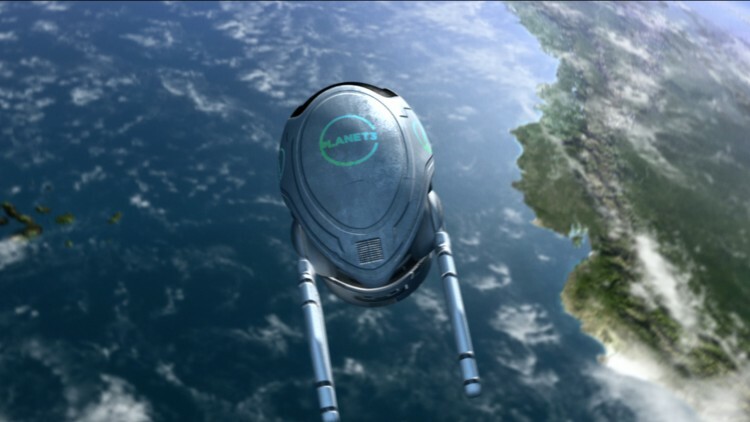 In addition to Rob Roy’s Innevation Center STEAM education initiatives, Switch has also supported the educational software company, Planet3, to create an immersive learning environment that will allow students to explore the planet’s history and future through a game-based platform. The STEAM Village powered by Switch at the ArtPrize HUB will be open to the public daily from 11:00 a.m. to 6:00 p.m. throughout the 19-day event. School groups visiting the event will have early access to the space before it opens to the public each day. ArtPrize Eight will run from September 21-October 9, 2016, in downtown Grand Rapids. To learn more about ArtPrize education initiatives, visit artprize.org/for-educators. Founded in 2000, this global technology solutions company, headquartered in Las Vegas, Nevada, is built on the intelligent and sustainable growth of the Internet. Switch Founder and CEO, Rob Roy, has developed more than 218 patent and patent-pending claims covering data center designs that have manifested into the world-renowned SUPERNAP data centers. SUPERNAP Prime™ data centers lead the industry with their high-density, multi-tenant locations that provide unparalleled agile technology ecosystems and the unmatched cost-saving CORE® telecommunications purchasing cooperative. The SUPERNAP Edge™ data centers are the company’s single-tenant, on-premise products. Visit supernap.com for more information on the world’s only Tier IV Gold rated multi-tenant, carrier-neutral data centers.